Stage A Big Hard-Wood Stage in the middle of the Venue with an awesome sounds and lights system. Our stage is suitable for even a 10 piece band. Venue The Junction experience is one built on Sound and Space. The ambiance evokes an intimate room vibe providing flexible layouts for any type of event. Interior finishes including wood, raw steel and iron combined with Edison lighting create a unique atmosphere with capacity for 175 people. Audio/Visual Equipment supplied includes 4 EV Powered 1800 Watts Subs, 4 EV Powered 12” of 2000 Watts Speakers and 4 more 15” of 2000 Watts Speaker. Microphones, Mic Stands, 16 Channel Mixer, DBX Controller, Cables, CDJ Players, Full set of built in lighting system. Food /Drink Junction focuses on flavors from all around the world in an affordable format by locally sourcing the produce and meats. Visit our website www.junctionyyc.com to check out our menu food and drinks menu. Large raised stage good enough for 8 piece band. Great view on stage from main floor or from mezzanine. Junction is beautiful venue in the heart of downtown Calgary with a capacity of 175. 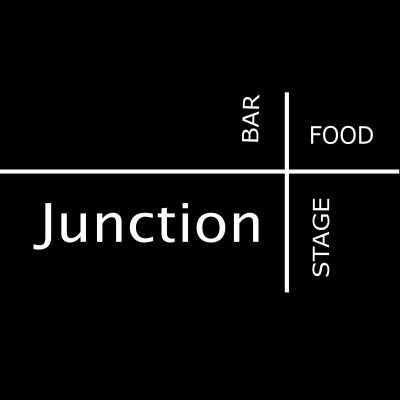 Junction stands for Great Food, Awesome Drinks and with a Big Stage to offer variety of live entertainment to the public. Our goal is to have live entertainment 6 days of the week and we are open to all kind of entertainment and ideas. We are happy to provide an opportunity for local Entertainers/Artist to do a gig, or a concert in venue. Our vision is to create an enjoyable experience for both the performer and the audience where music is listened to and appreciated along with great dining experience. Equipment supplied includes 4 EV Powered 1800 Watts Subs, 4 EV Powered 12” of 2000 Watts Speakers and 4 more 15” of 2000 Watts Speaker. Microphones, Mic Stands, 16 Channel Mixer, DBX Controller, Cables, CDJ Players, Full set of built in lighting system.